Register for the first time or update your information. Please fill out the form below to help us keep your information current. 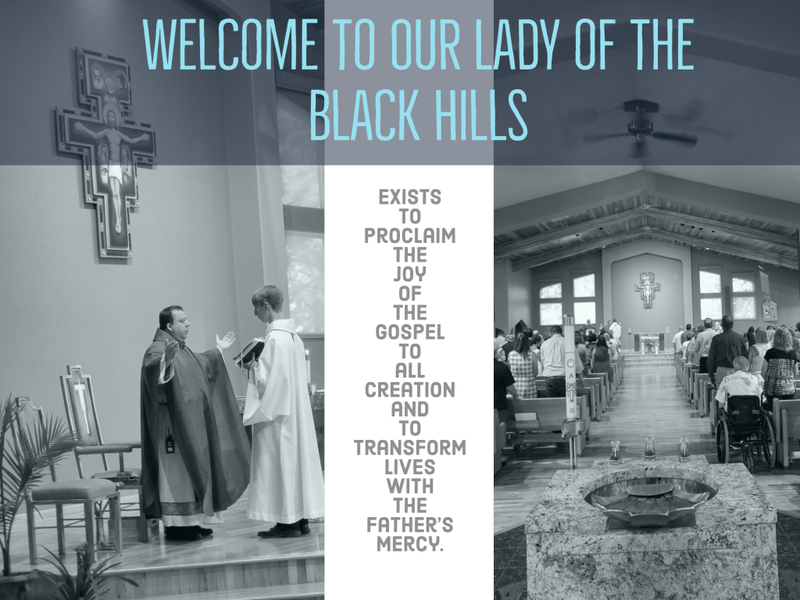 This form can be used to register as an official parishioner(s) of Our Lady of the Black Hills Catholic Church. It can also be used to update information for existing families. Thank you for taking time to keep your information current. If a non-Catholic marriage, has it been validated? Are you interested in sacraments for yourself or anyone in your household? If yes, please list. Please list the names of anyone in your household interested in joining the Catholic church. Would you like envelopes for parish contributions? We are always in need of help. Is there an area you or one of your family members would like to be contacted about or trained in? i.e. altar server, lector, catechist, etc.